This is the perfect inspection microscope with built-in digital camera at an affordable cost! 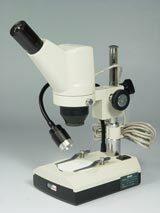 This microscope magnifies at 20 and 40 times so it's great for prepared slides, insects, flower, rocks and dissecting. The image is upright and unreversed (unlike standard classroom microscopes), which makes it easier to manipulate specimen on the stage. It uses rechargeable LED lighting on a flexible multi-angle gooseneck. Construction is all metal for maximum durability, has easy rack and pinion focusing and includes software and accessories for easy plug-n-play installation. 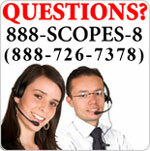 Easy-to-use, yet advanced, imaging Motic software included. Windows 7 and higher & MAC compatible.